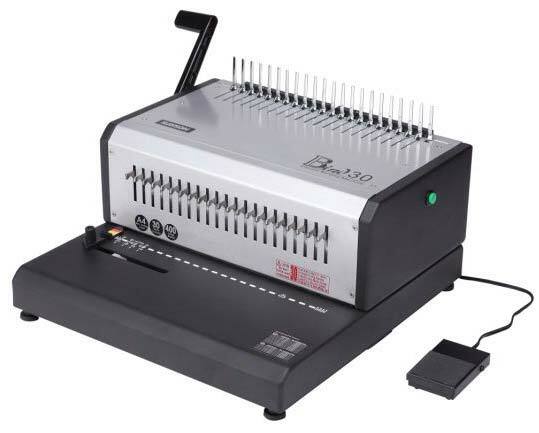 The company has cemented its presence among the successful Manufacturers, Suppliers and Exporters of Comb Binder (EB-30). It is capable of punching up to 30 sheets 80g A4 sheets at a time. Our Binder comes with 21 blades free pin for multi punching. Easy to operate, Binder we make available can bind up to 400 A4 sheets. Punching up to 30 sheets 80g A4 per time.